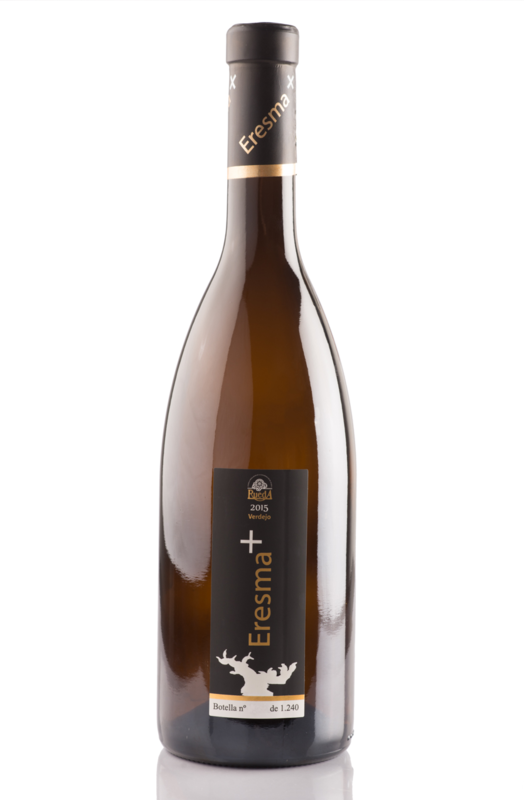 From a selection of grapes from “Pago Del Tomillar” in La Seca, from “Pago de Mira al Alba” in Valdestillas, and from “Pago La Vercera” in Olmedo, Eresma + has been produced. A great wine, made to delight. Only 2,000 strains have participated in the production of this wine, all of them from its own vineyard, located between 700 and 1,000 meters high, with a yield per strain of one and a half kilos. An exclusive production of 1.240 bottles within reach of a few. Wine has an intense straw-yellow color with green hues. It is a modern wine, aromatic, elegant, of enormous complexity, in which the souvenirs in box and fennel nose give way to mineral and citric notes. In the mouth it is powerful, tasty and of great elegance..